From this Friday until next October 2 Via Iacobitana photo exhibition will visit the municipality of Valdoviño in Ferrol. In the house of culture of the town you will enjoy this exhibition snapshot that reflects the vision and only the Camino de Santiago by several Galician photographers turned into pilgrims for a few days. It will be open from 10.00 to 14.00 for free. Photographs displayed on the cultural and natural heritage of the different routes of the Camino de Santiago is portrayed from a contemporary and personal perspective. 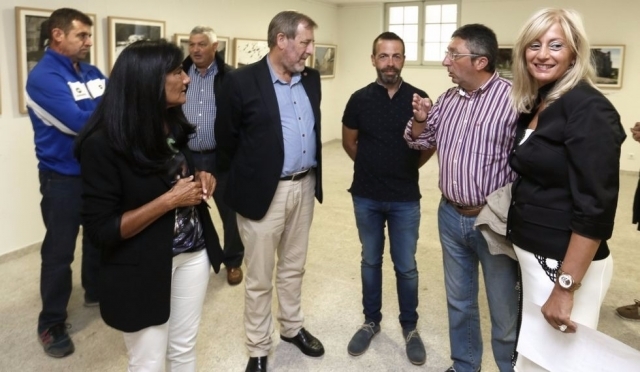 The exhibition route leads since last June and has already visited Compostela, Ribadeo and Viveiro all summer, being visited by more than 4,000 people so far. The initiative is the result of collaboration between Viaqua, the company that manages the municipal water service, Tourism and Xacobeo Galicia. Me queda cerca, Igual me paso!